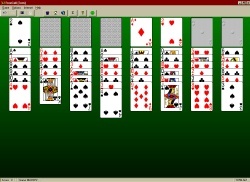 solitaire, patience, card game, freecell, seahaven towersr games. It features lush graphics, large easy-to-read cards, sound, and in-depth statistics. FreeCell Wizard is a solitaire game that includes the popular game FreeCell and 15 other similar games, such as Sea(haven) Towers, Double FreeCell, and Penguin. It features lush graphics, large easy-to-read cards, sound, in-depth statistics, and a wizard that allows you to create your own freecell type solitaire games. FreeCell Wizard game numbers are compatible with the game numbers in Windows FreeCell. wizard that allows you to create your own freecell type solitaire games. FreeCell Wizard game numbers are compatible with the game numbers in Windows FreeCell.